The Classic pool table benefits from an extremely sturdy design and sleek "pub style" looks, that will create a perfect centrepiece for your games room or commercial site. With a range of finishes and cloth colours available, the UK-made Classic pool table is perfect for anyone looking for a pub quality table for their pub, club, common room or other area of public use. A high quality table that even has a secure cash storage unit, making it ideal for commercial use. The Classic pool table is available in 2 standard British sizes: 6ft x 3ft and 7ft x 4ft. The Classic comes in a number of different laminate finishes. You can choose to have your Classic pool table fitted with Green, Blue, Red or Burgundy quality Hainsworth 100% wool cloth as standard, or there are further custom cloth colours that can be chosen for an additional charge. The dimensions below are ideal sizes, however if space is a bit tight why not also purchase a "Junior" or half-size cue to help with any tricky, tight angles. 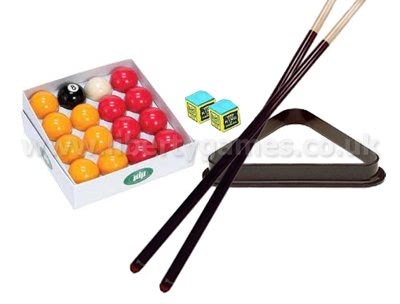 The Classic pool table is supplied as standard with 2 cues, 1 set of red and yellow pool balls, a triangle and chalk. 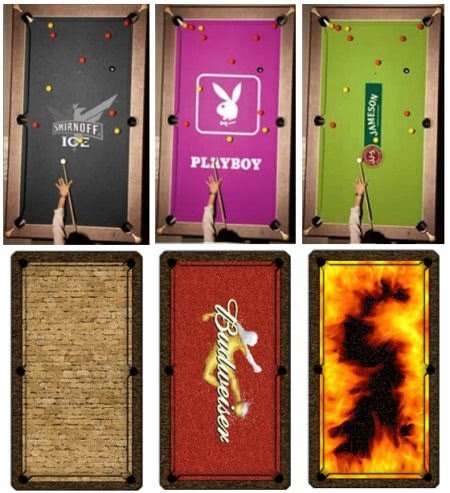 There are many additional pool table accessories available to augment and increase the enjoyment of your pool table. The Classic is bespoke built to order depending on your choice of table size, finish and cloth colour in a UK-based factory.